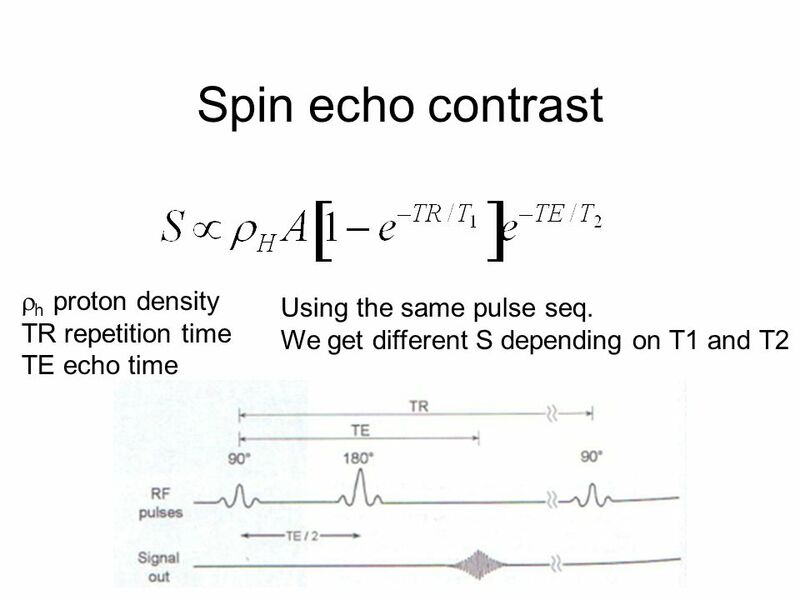 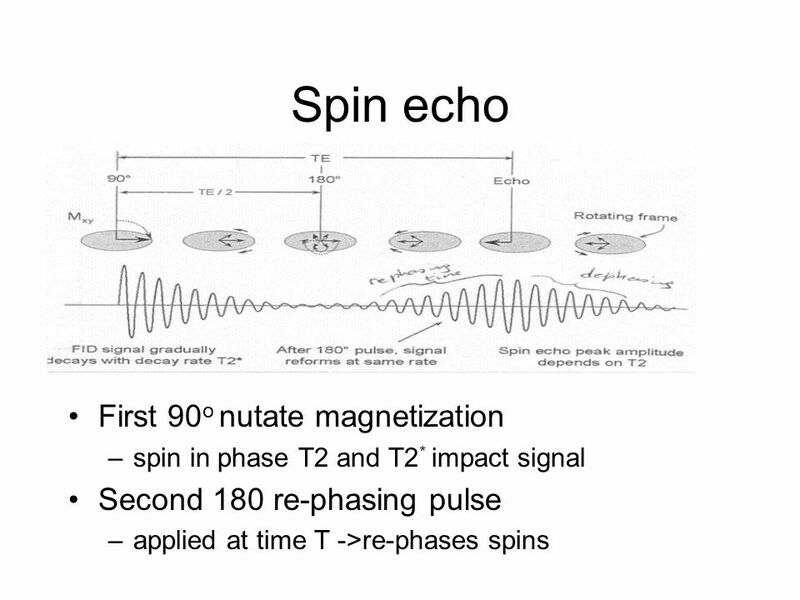 14 Spin echo contrast h proton density Using the same pulse seq. 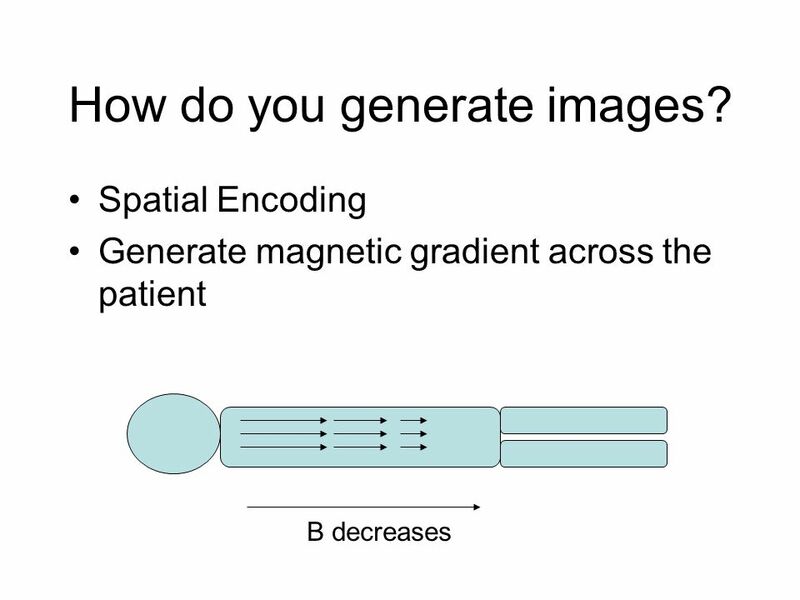 18 How do you generate images? 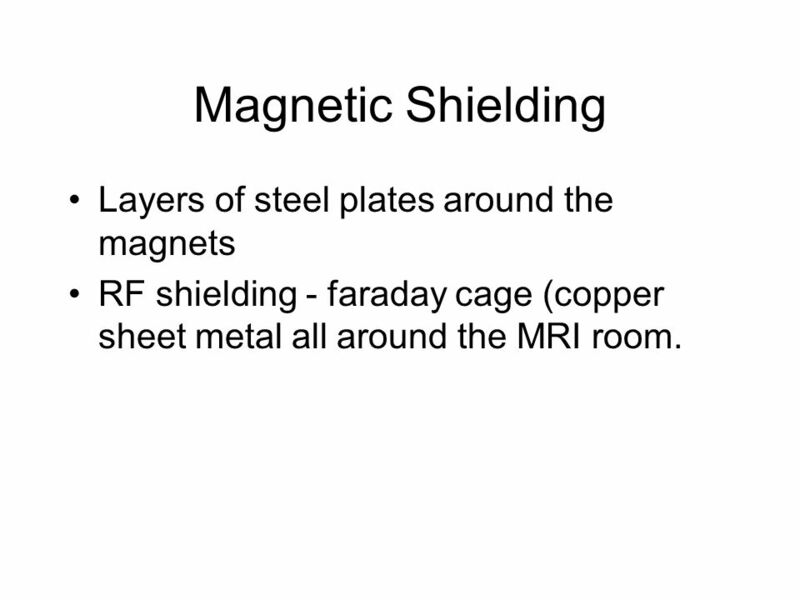 RF shielding - faraday cage (copper sheet metal all around the MRI room. 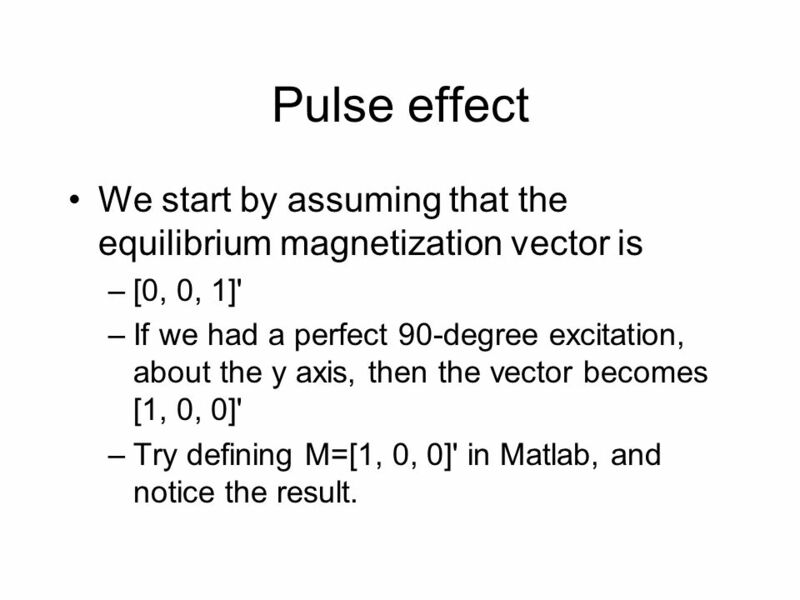 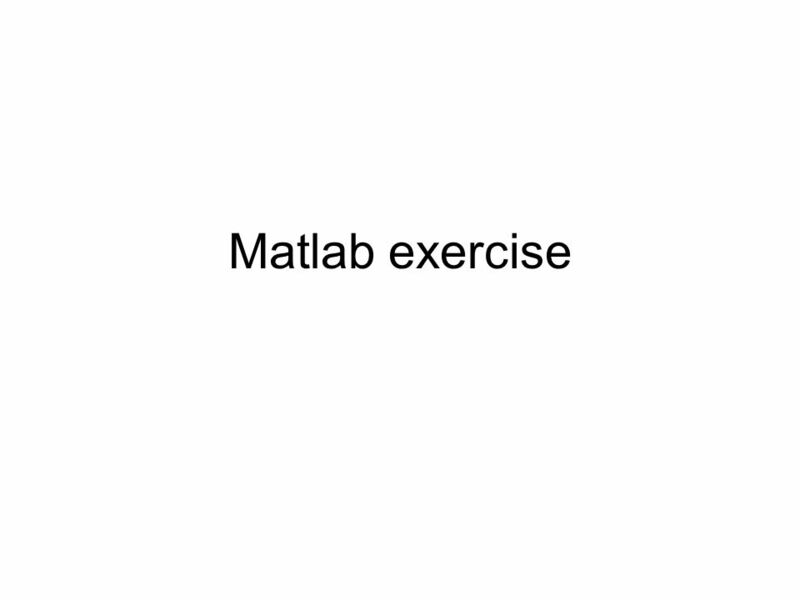 39 Pulse effect We start by assuming that the equilibrium magnetization vector is [0, 0, 1]' If we had a perfect 90-degree excitation, about the y axis, then the vector becomes [1, 0, 0]' Try defining M=[1, 0, 0]' in Matlab, and notice the result. 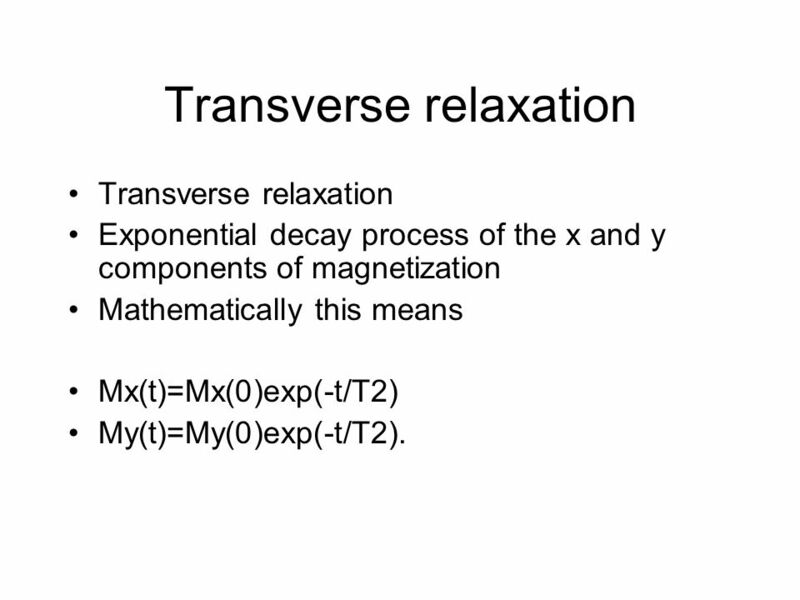 Exponential decay process of the x and y components of magnetization Mathematically this means Mx(t)=Mx(0)exp(-t/T2) My(t)=My(0)exp(-t/T2). 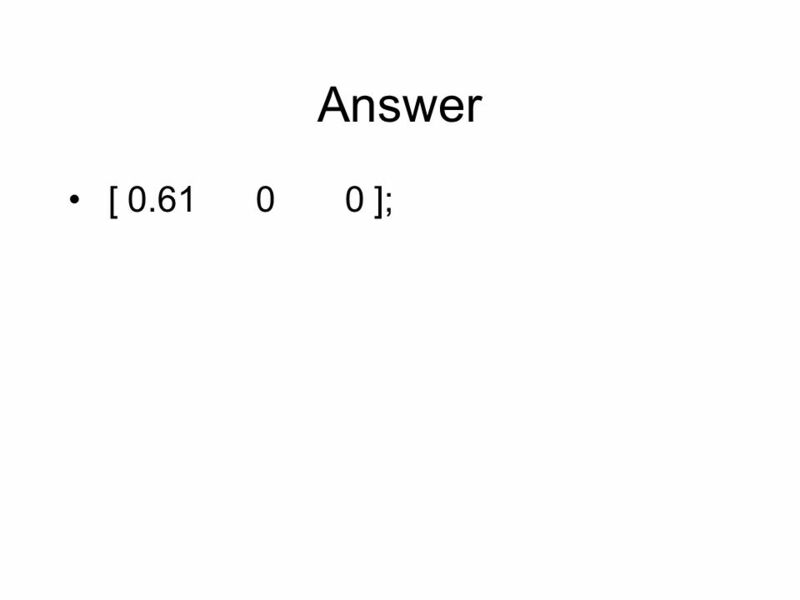 Assume M consists of only an x component. 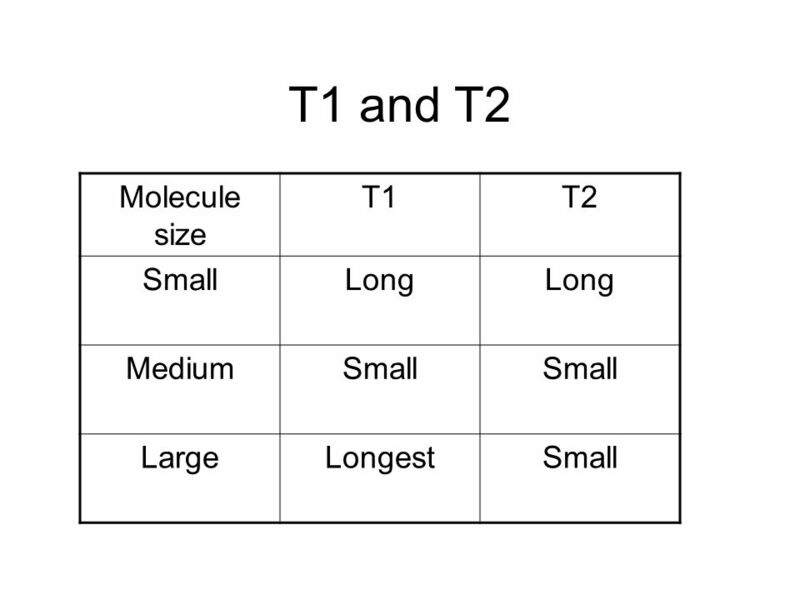 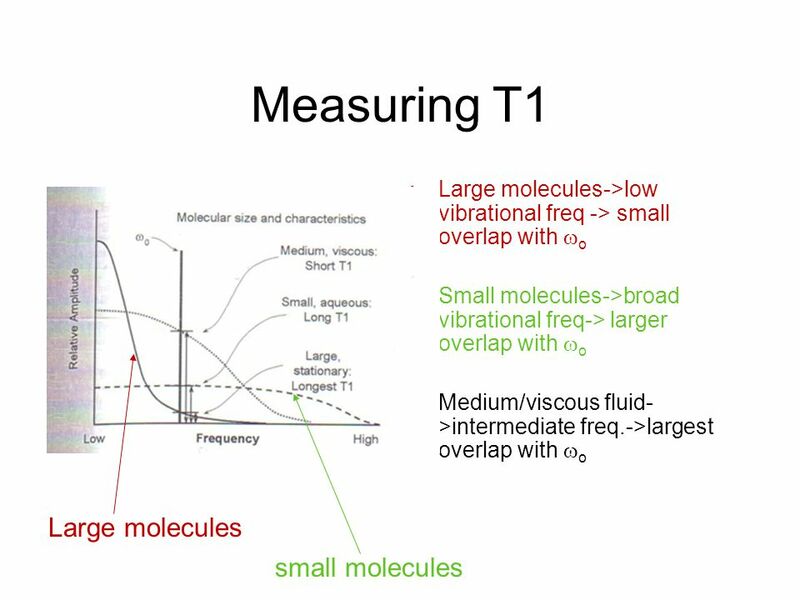 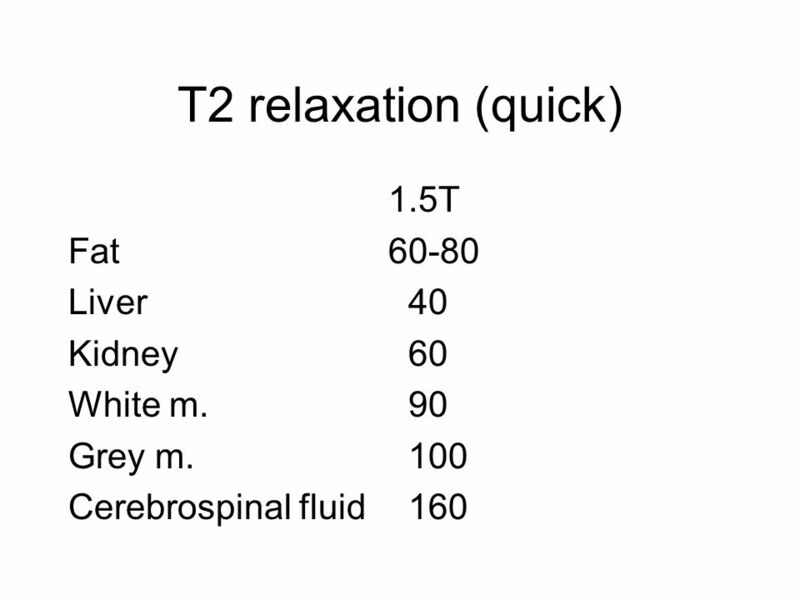 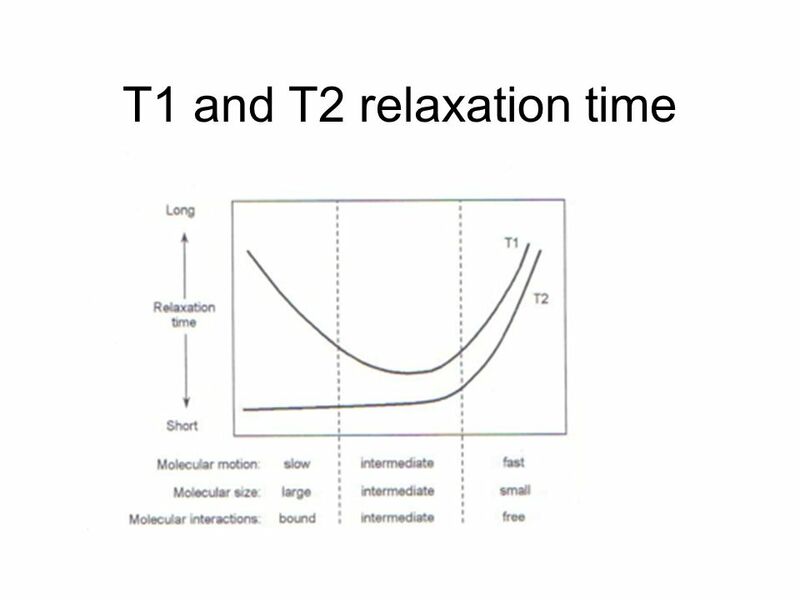 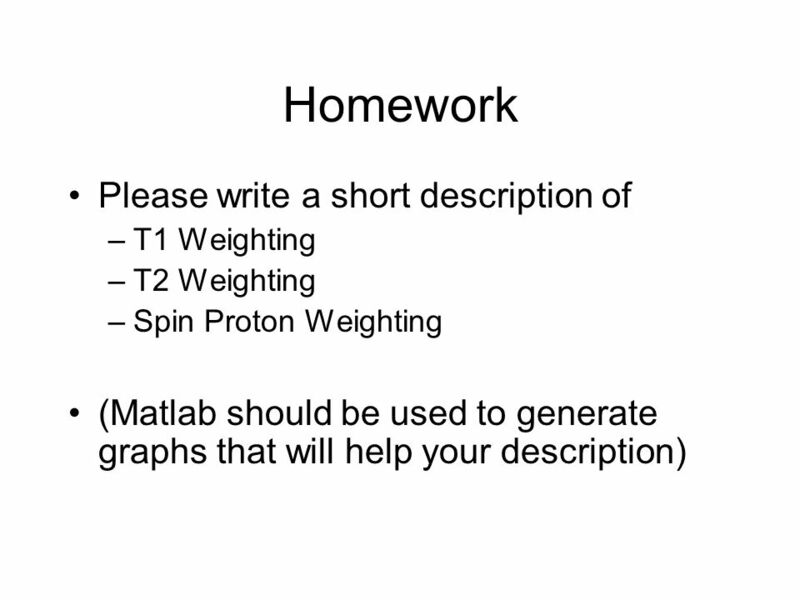 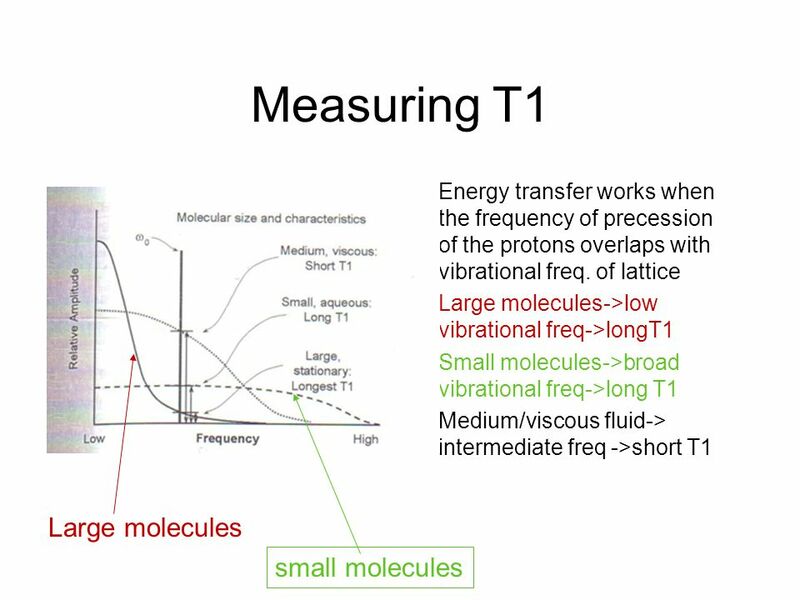 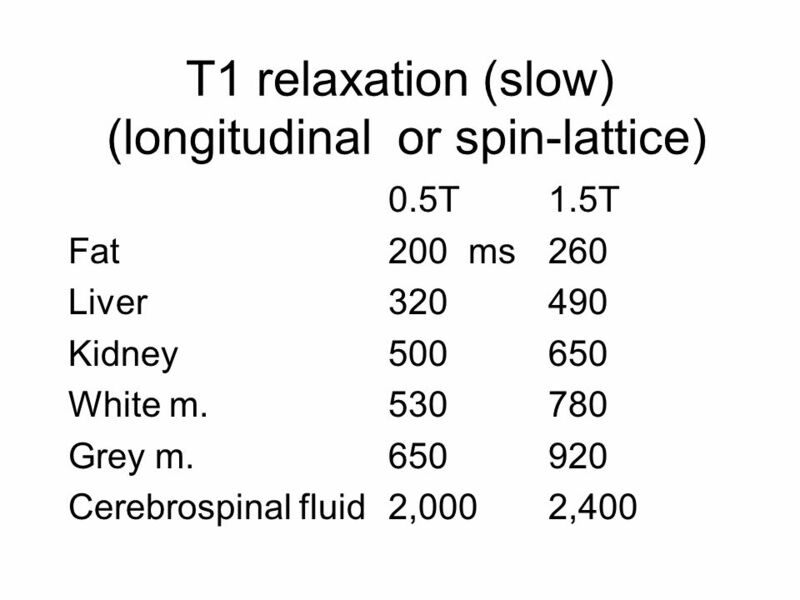 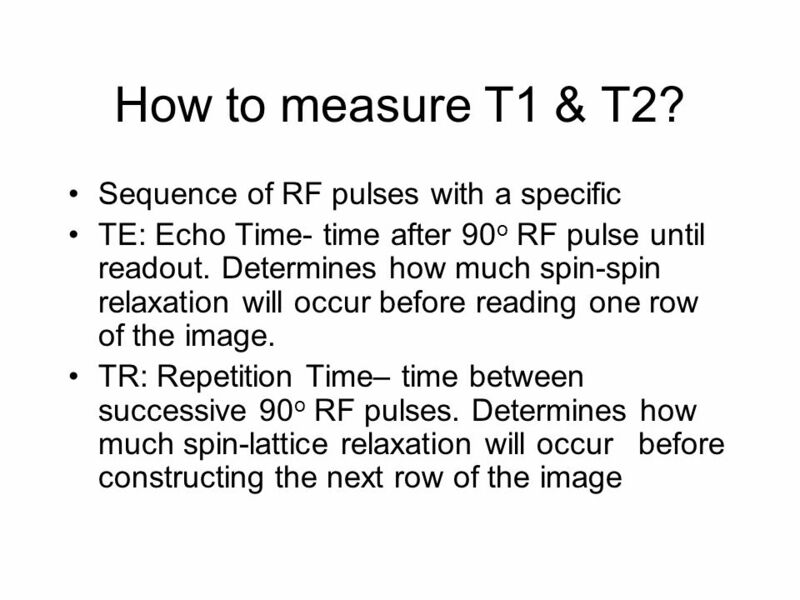 Let's say that T2=100 ms. 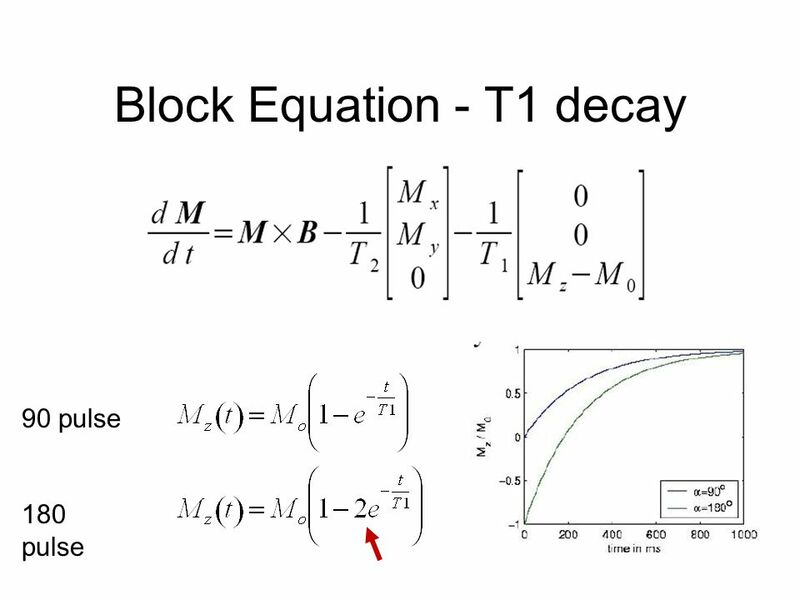 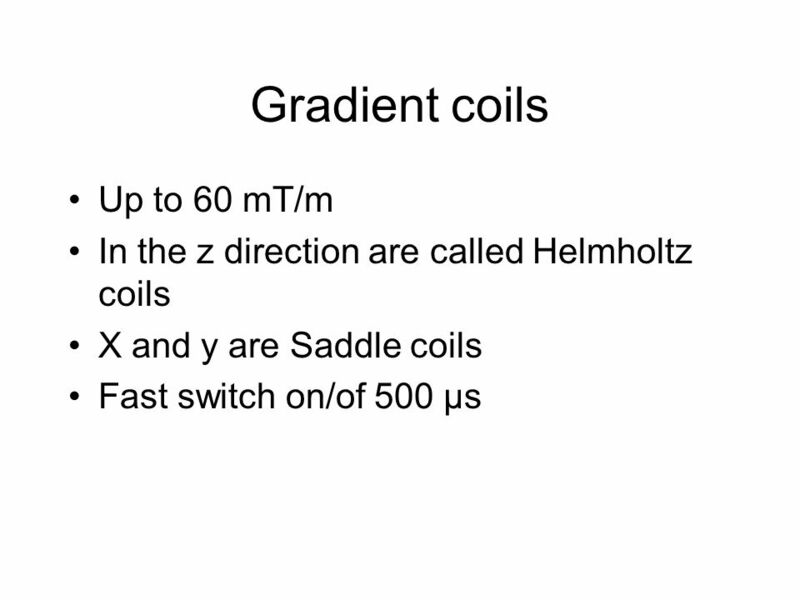 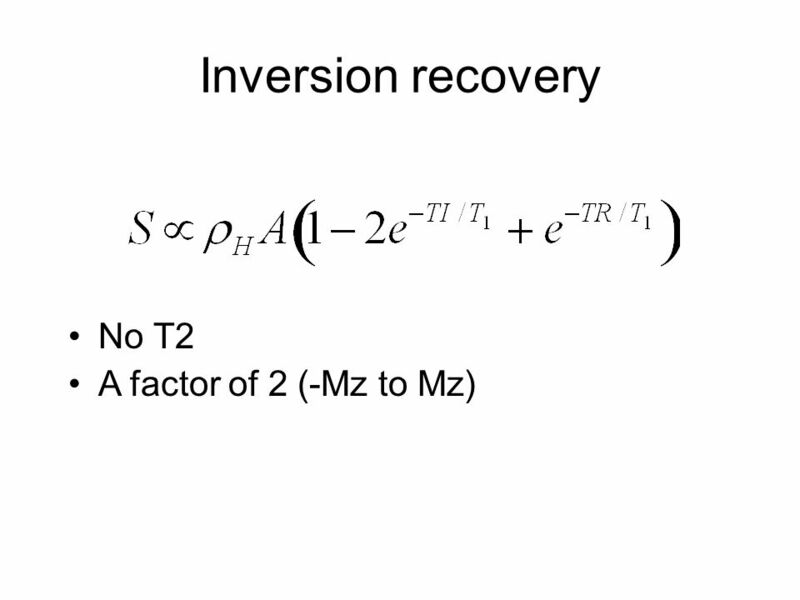 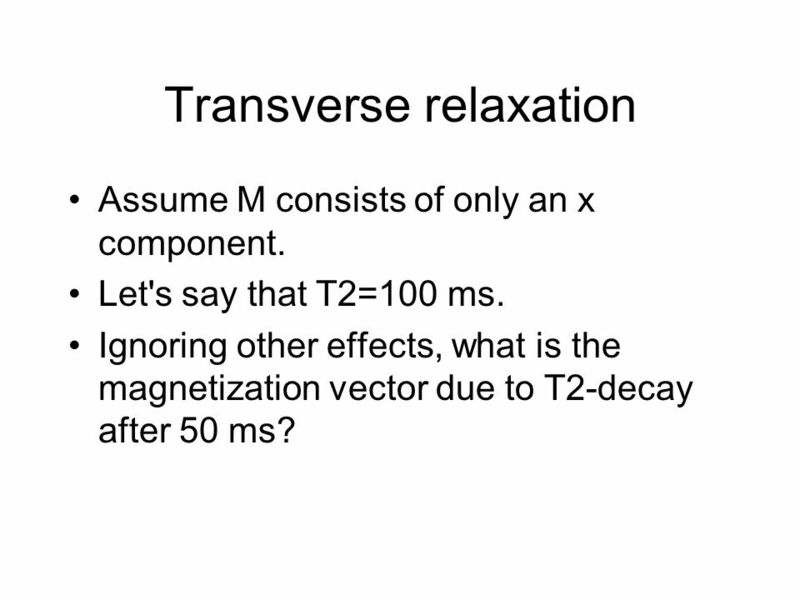 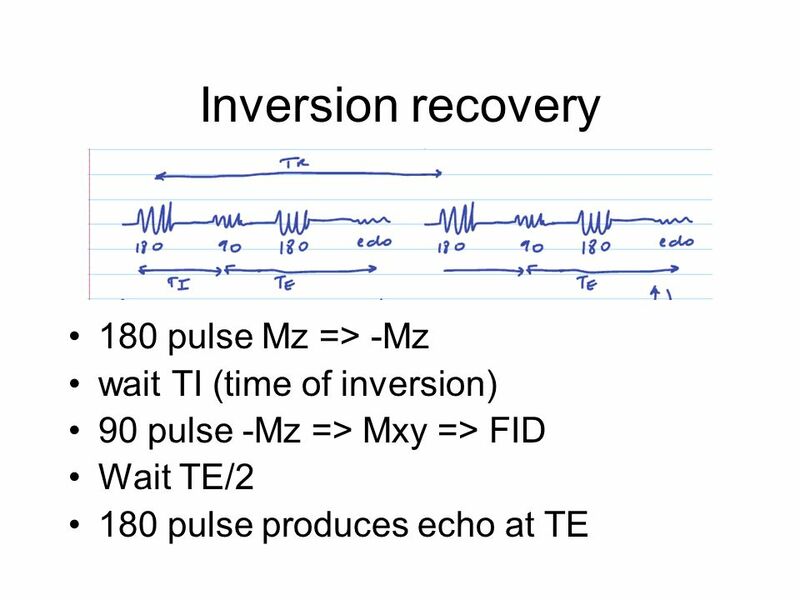 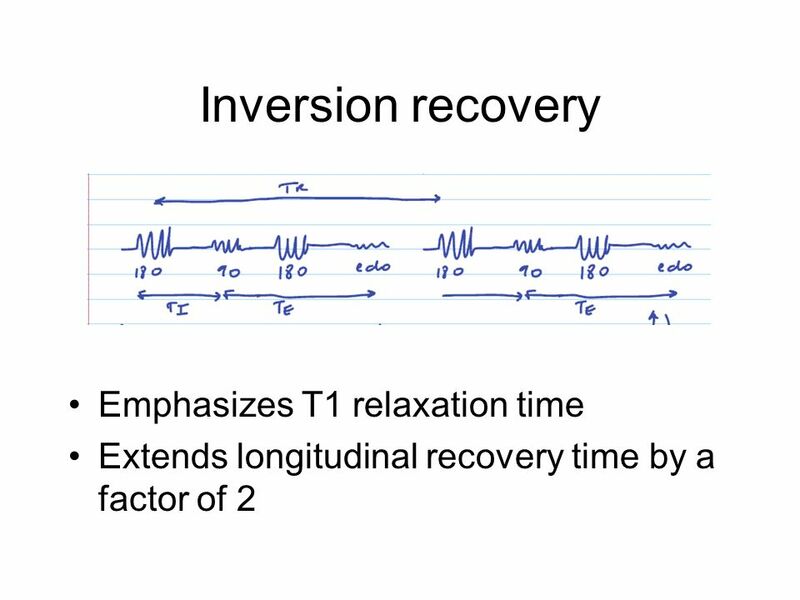 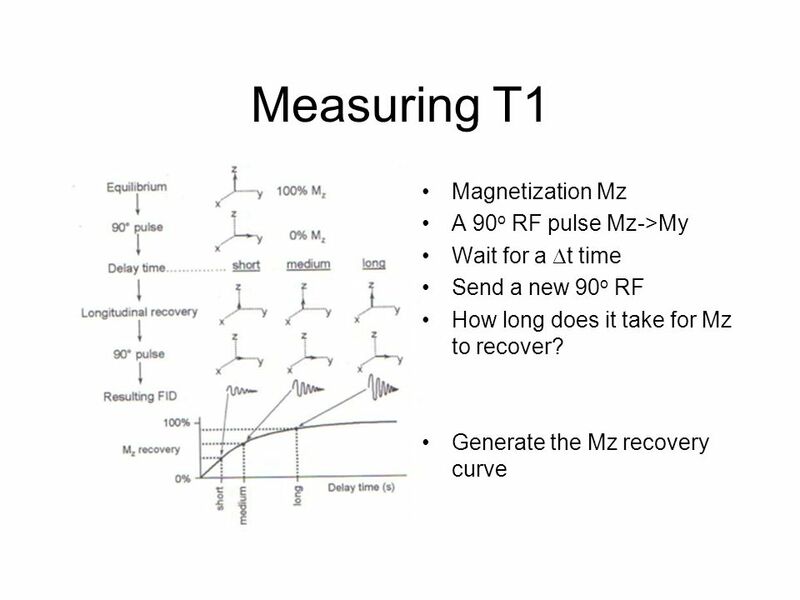 Ignoring other effects, what is the magnetization vector due to T2-decay after 50 ms? 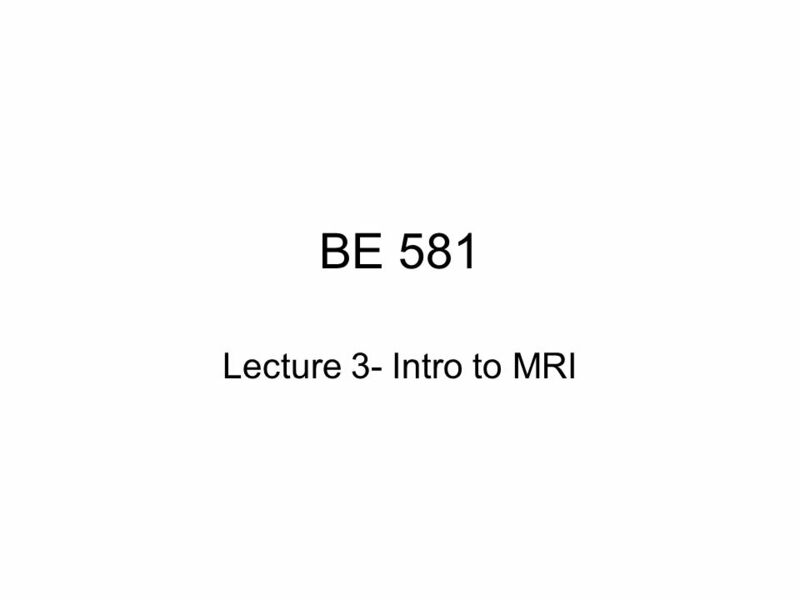 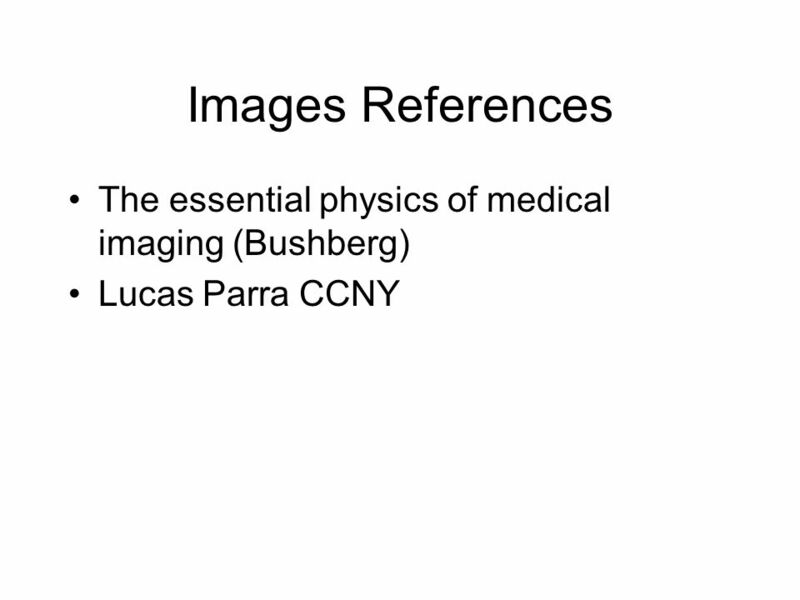 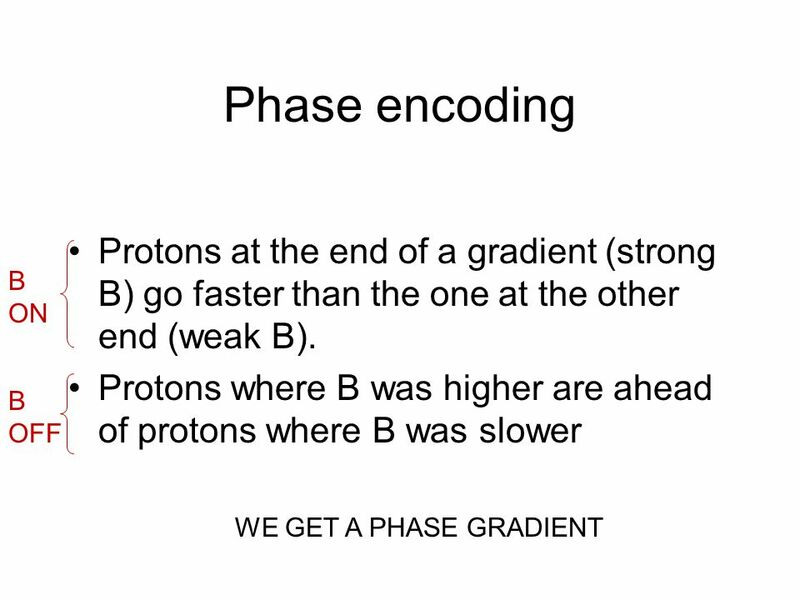 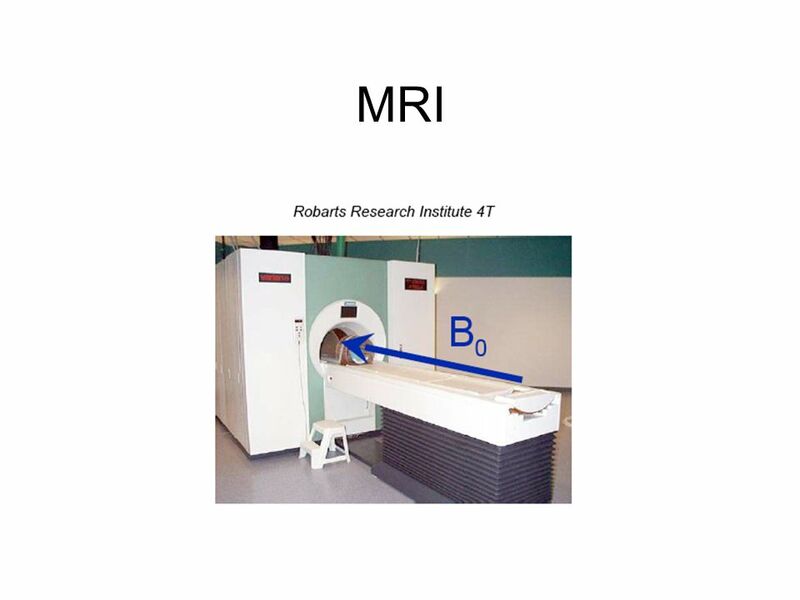 Download ppt "BE 581 Lecture 3- Intro to MRI." 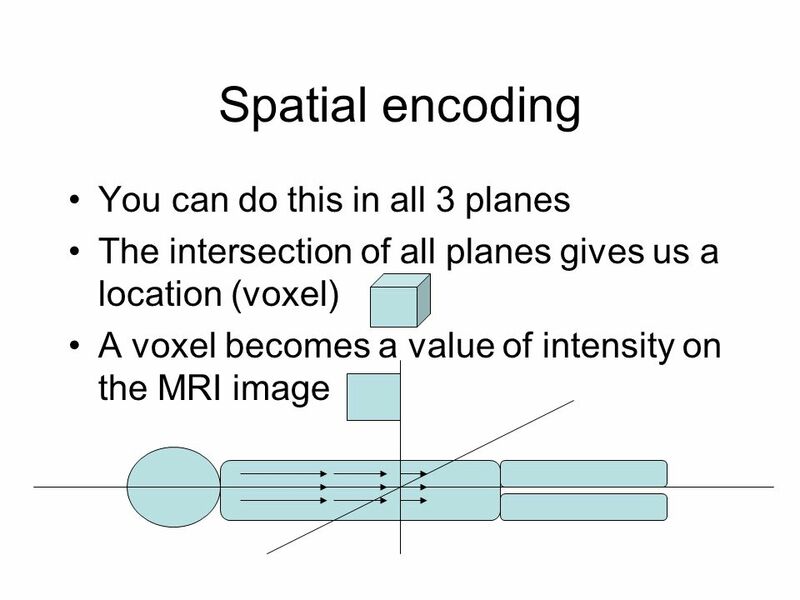 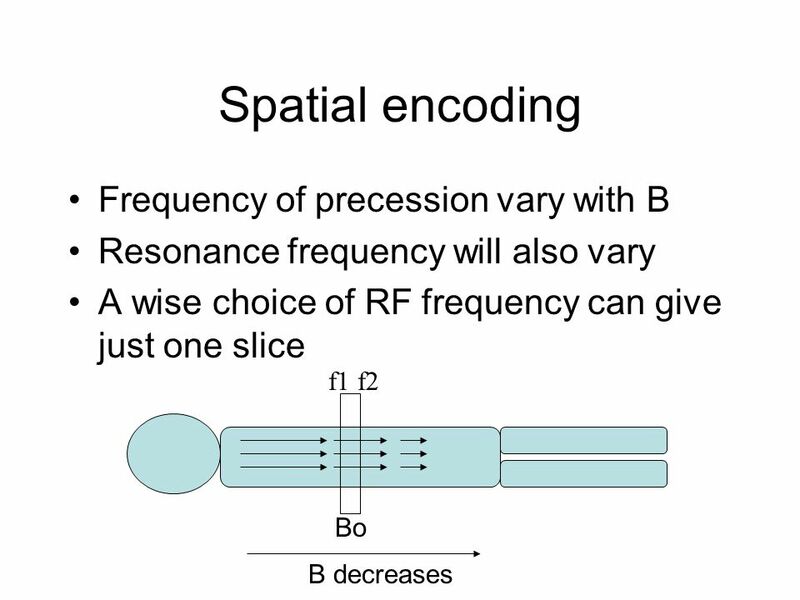 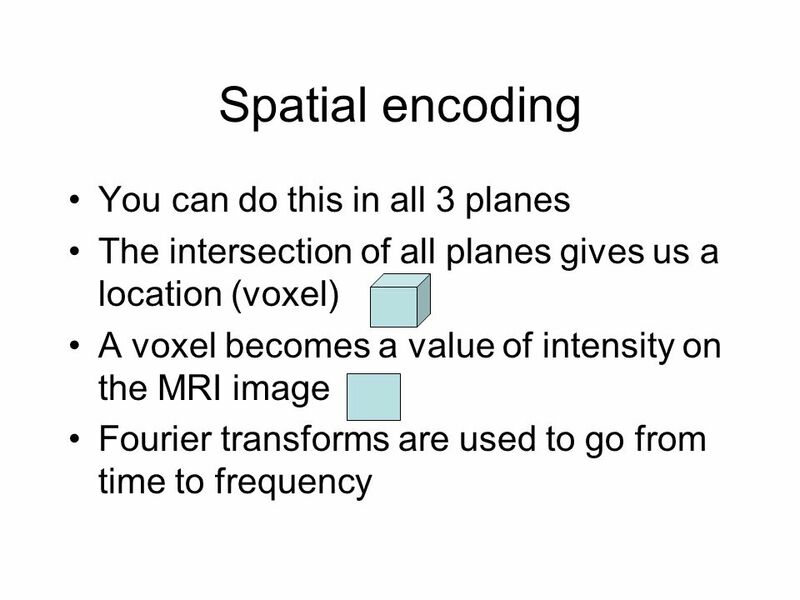 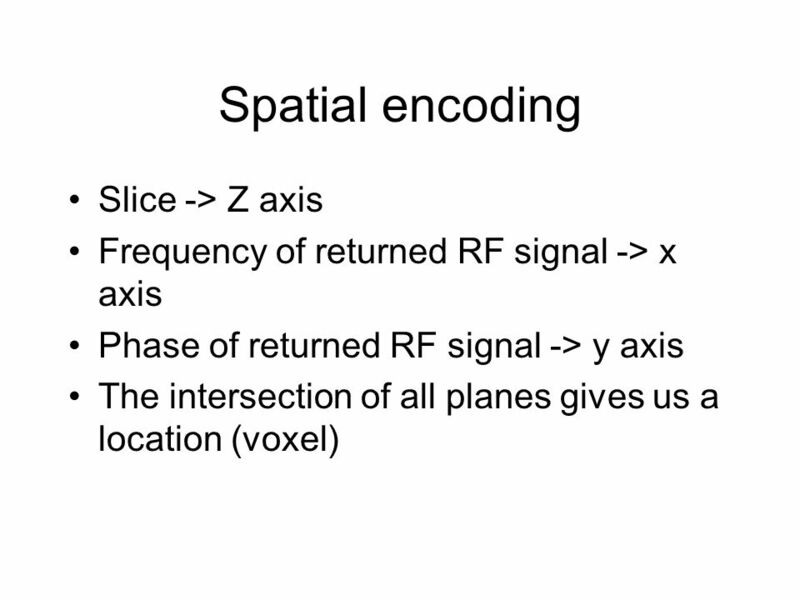 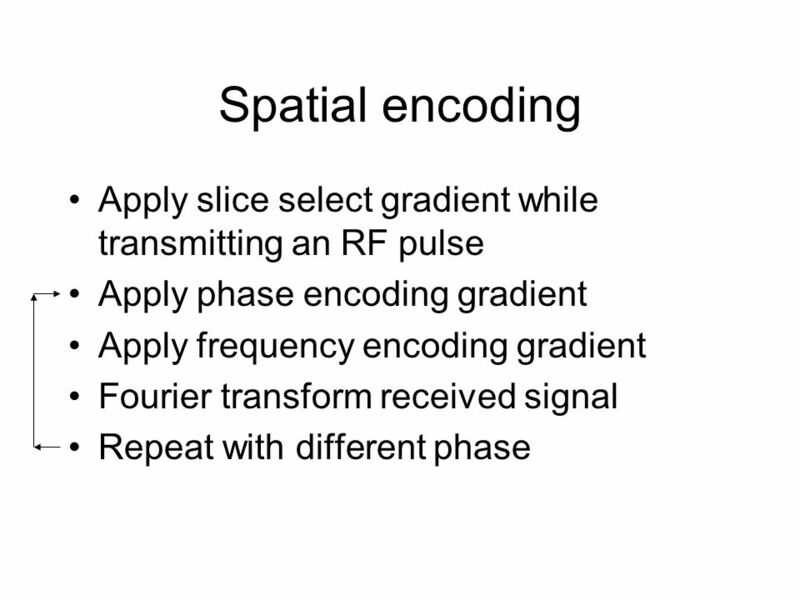 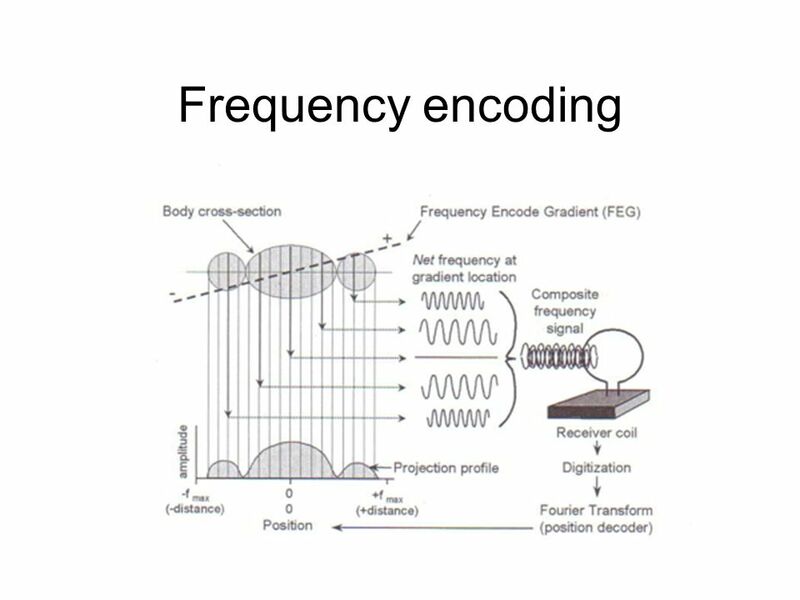 Fund BioImag : Echo formation and spatial encoding 1.What makes the magnetic resonance signal spatially dependent ? 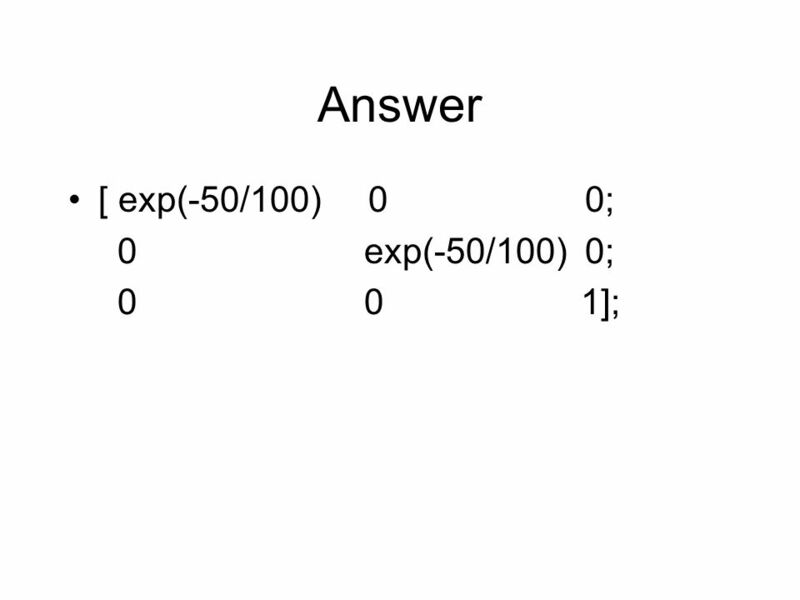 2.How is the position of. 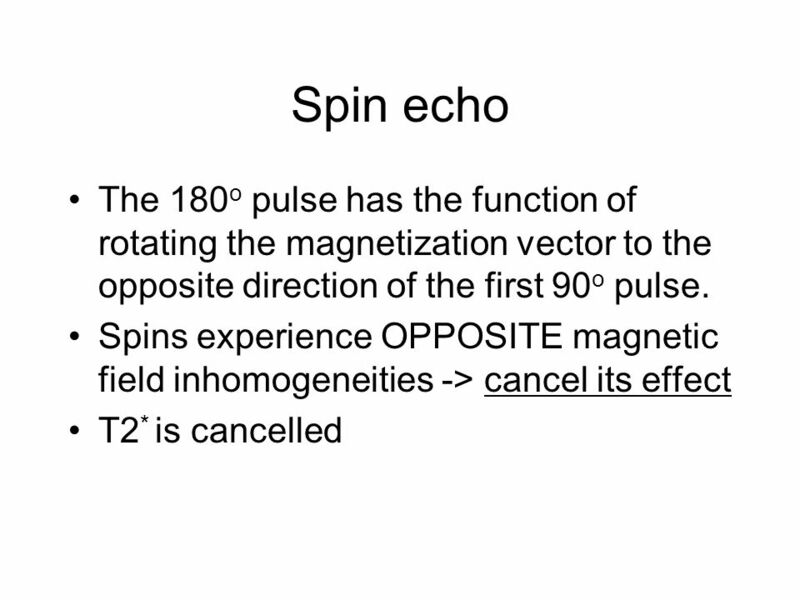 Ari Borthakur, PhD Associate Director, Center for Magnetic Resonance & Optical Imaging Department of Radiology Perelman school of Medicine, University. 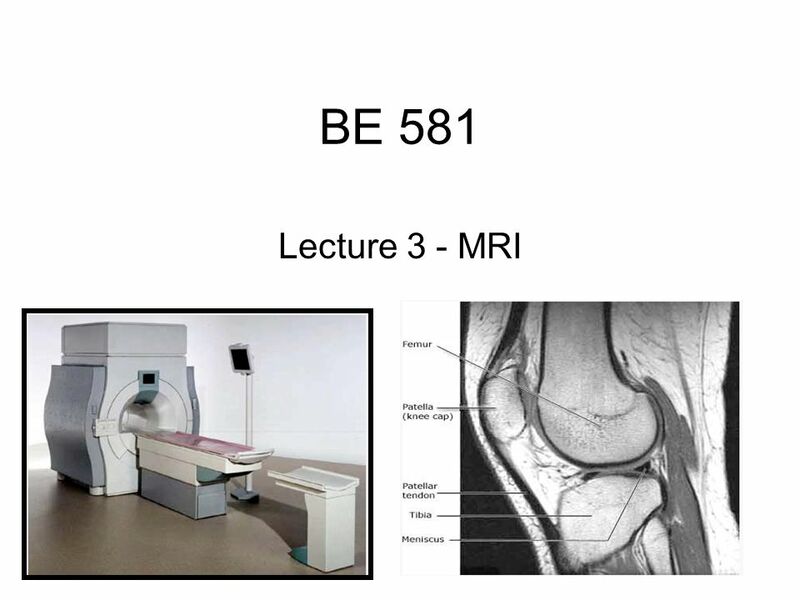 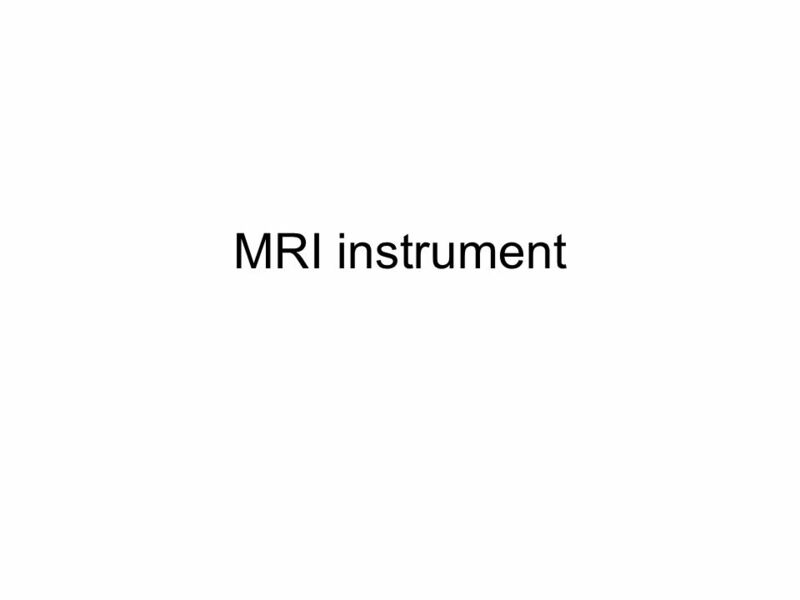 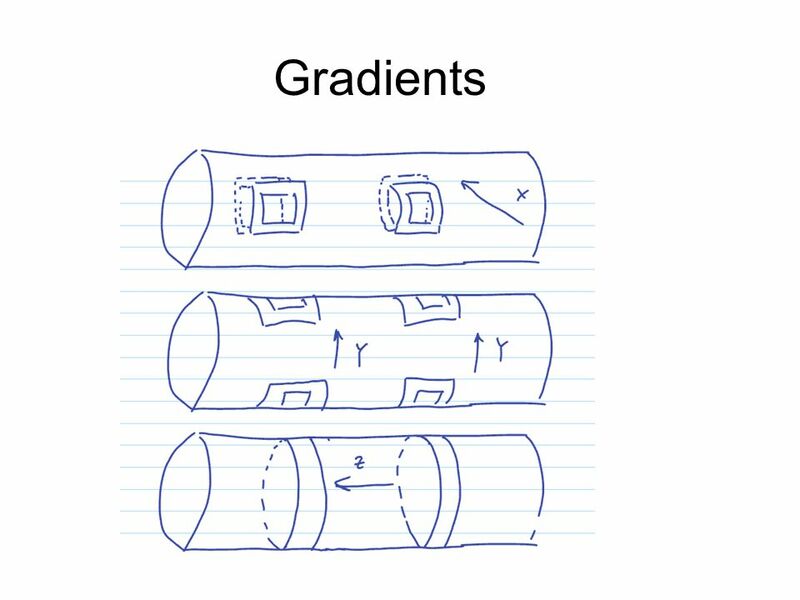 MRI SIMPLIFIED Parth Patel MIV, USC SOM. 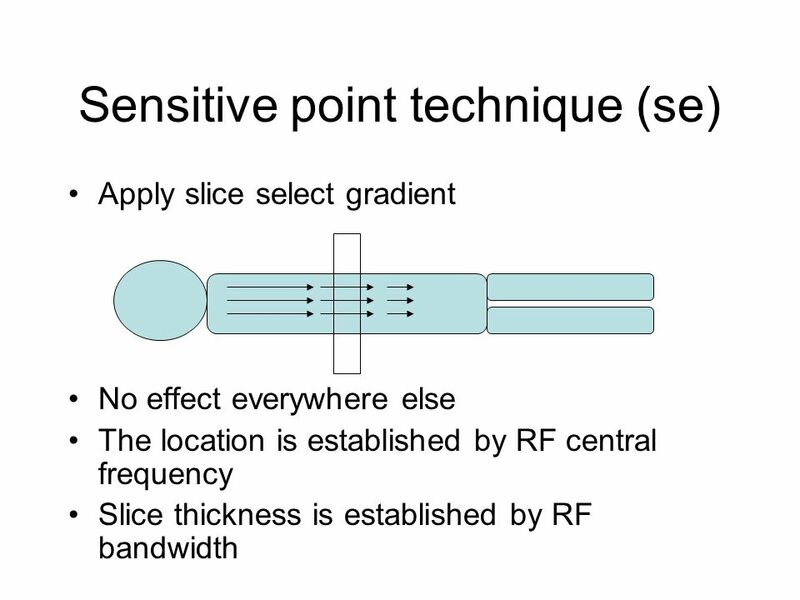 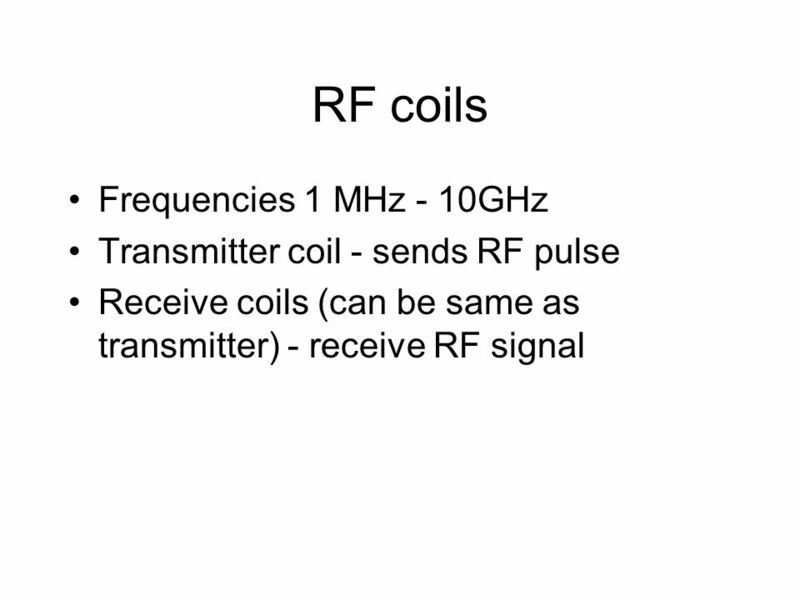 RF Pulse – generates a B 1 field that realigns the precessing spins in the low energy state In the case of a 90 o pulse the alignment is perpendicular. 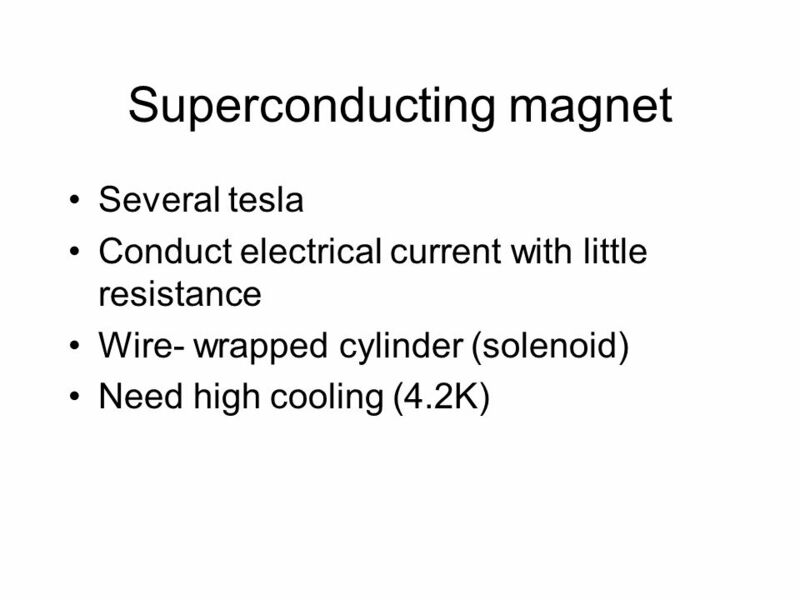 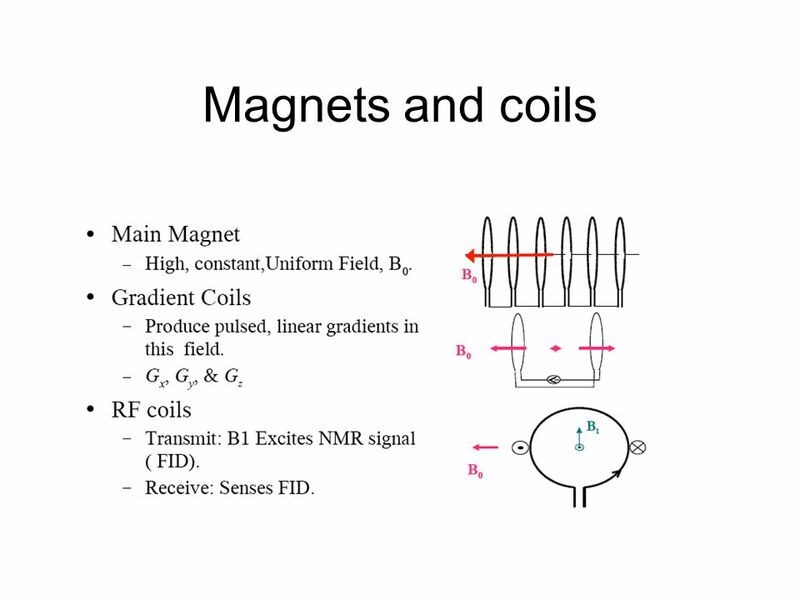 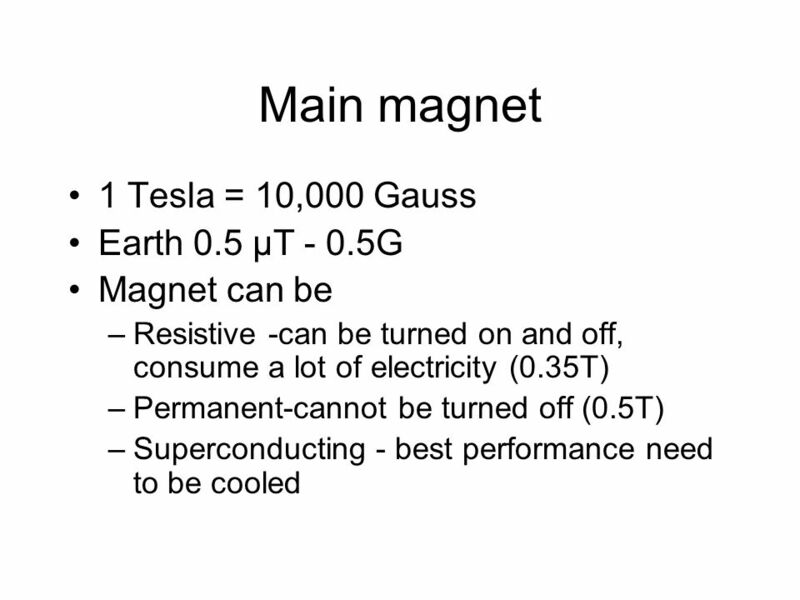 Nuclear Magnetic Resonance I Magnetization properties Generation and detection of signals.